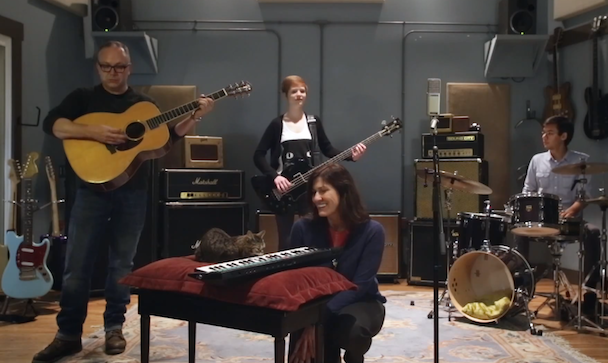 When Jay Z gave us his list of music industry #NewRules, he failed to include “Premiere your new single on a beloved Internet cat’s web series.” But no worries — Kelley Deal is here to let us know that you if you want to debut new material, Lil’ BUB’s Big SHOW is just the place to do it. Watch her and and Lil BUB perform new track “Shirtcrush” together in the middle of a very adorable interview. You can check out the clip below and watch Steve Albini’s unusually delightful guest appearance on it here.